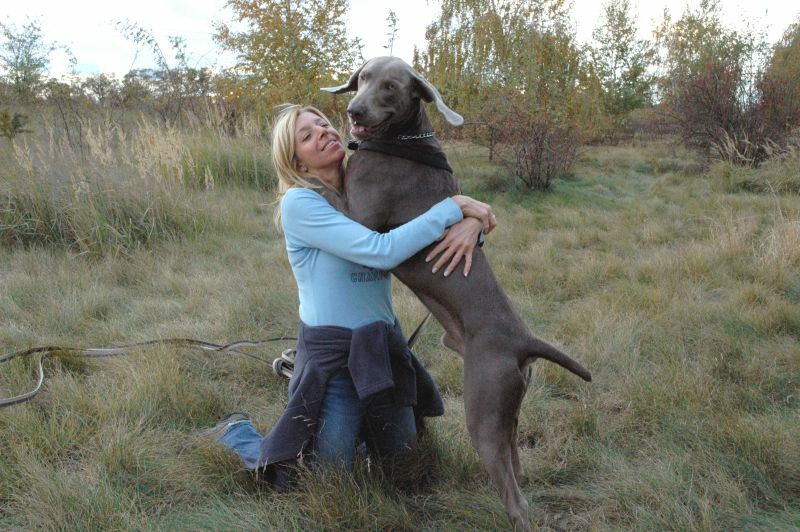 Our story called weimaraner started in 2003, when we decided to buy a dog after responsible consideration. 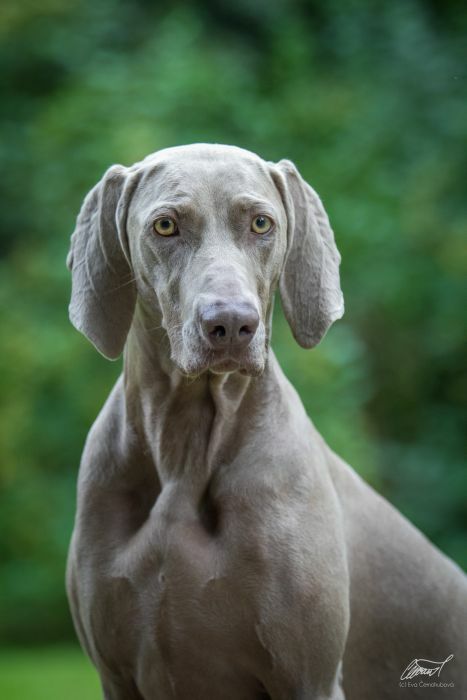 Our choice was easy and clear - family dog for active people with two children - ballanced, clever and quick-to-learn dog for allround family and sport activities - weimaraner! There was a puppy available in Ostrava at that time. Whole our family went there for a visit and we came back with our first and unforgotable Jessi. She was a family member from the very first moment. 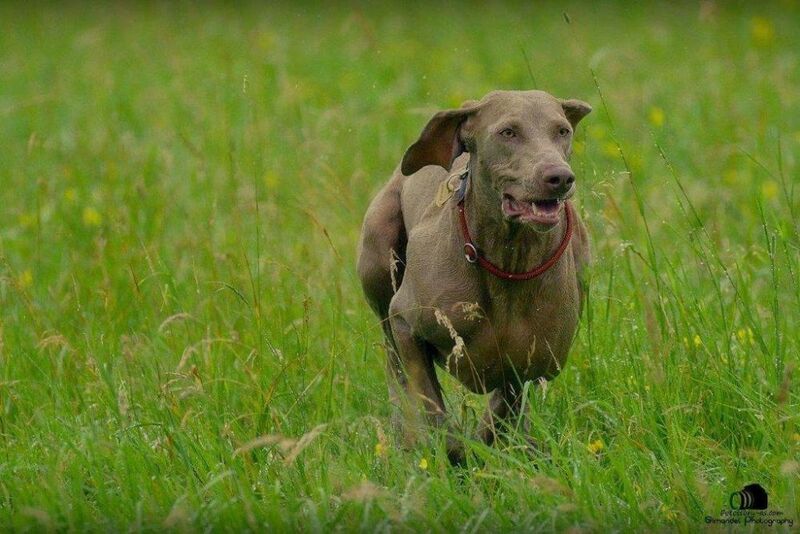 She enjoyed retrieving, water, jumping over obstacles in agility and above all she loved us and we loved her back. 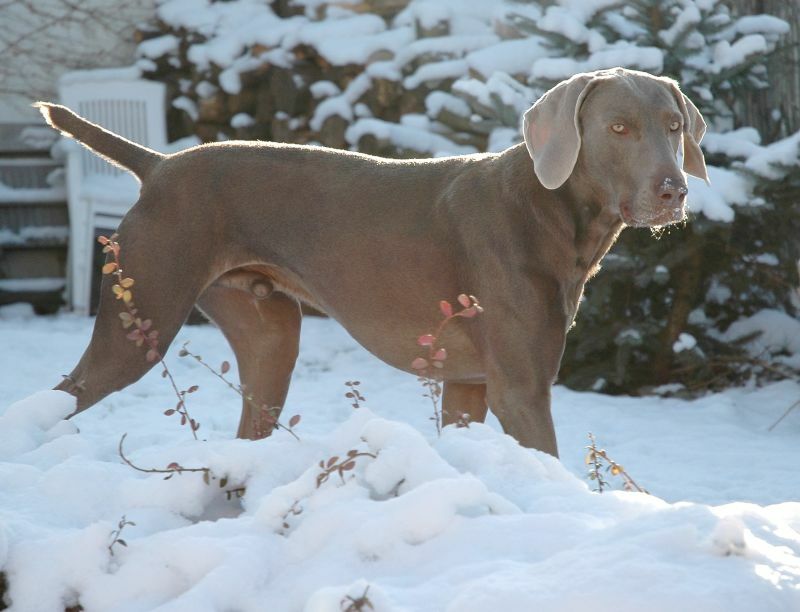 In 2004 weimaraner boy Jasper (Gin z Velenovskěho boru) joined Jessi. 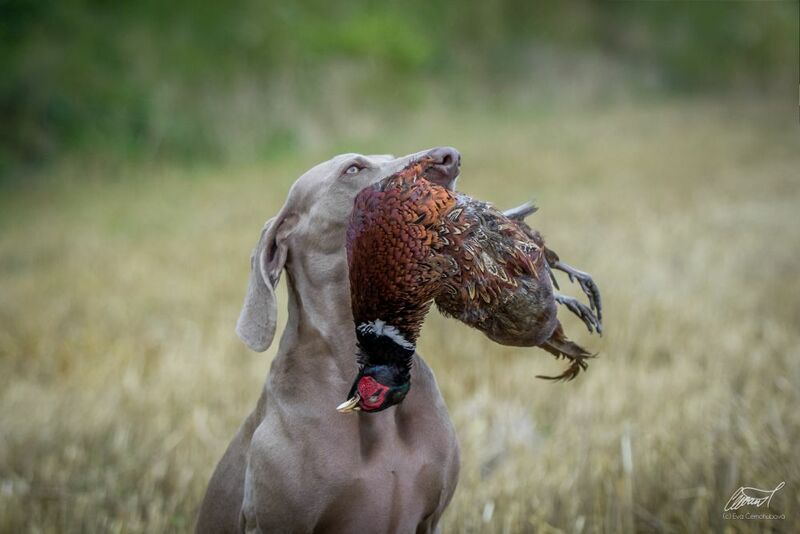 He has truly shown us what the breed is about. 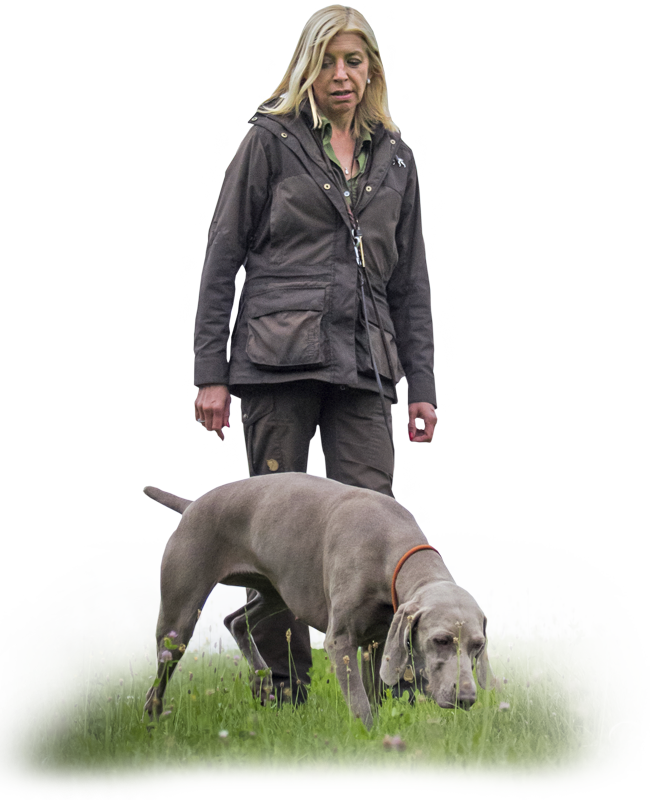 We traied many different activities with him including training for police dogs - tracks and defence.  He really liked that and since that time he is a great defender of us even against our own will. 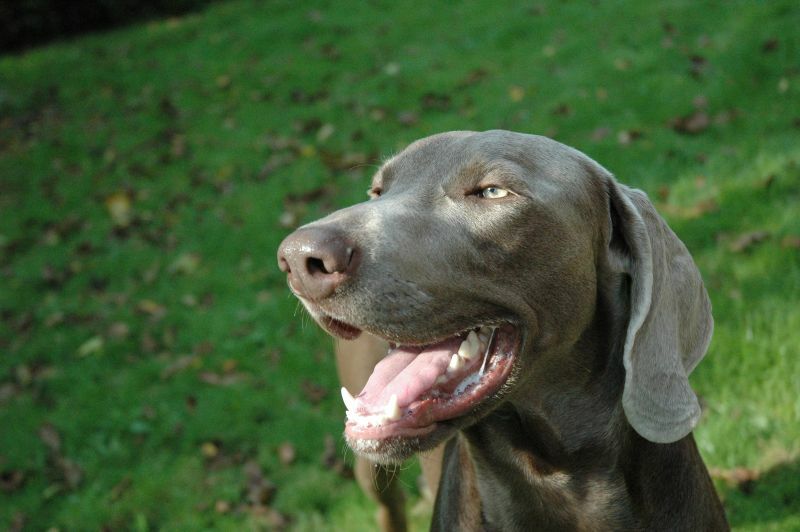 Today Jasper is 13 years old and he is the most nice weimaraner I know, but not when he thinks his master is in danger! 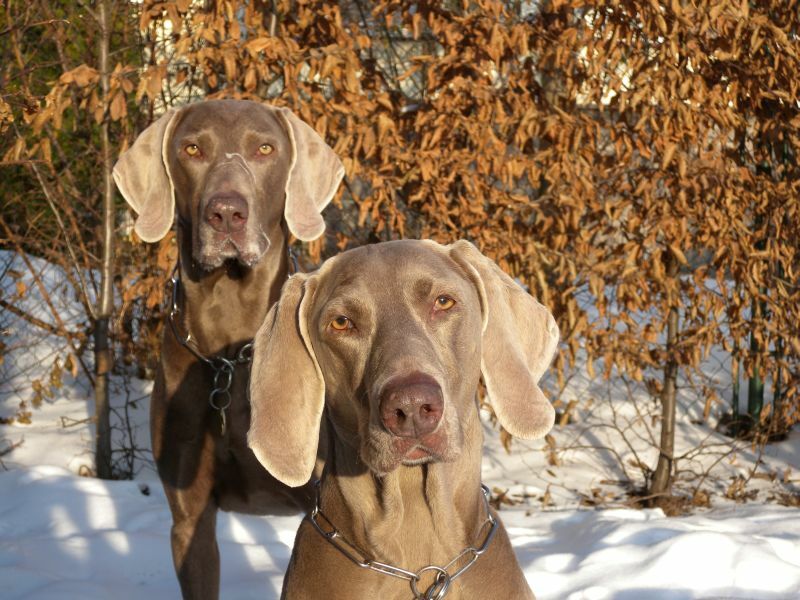 On Christmas 2013 Jessi left us after long lasting desease and I started to look for a puppy. 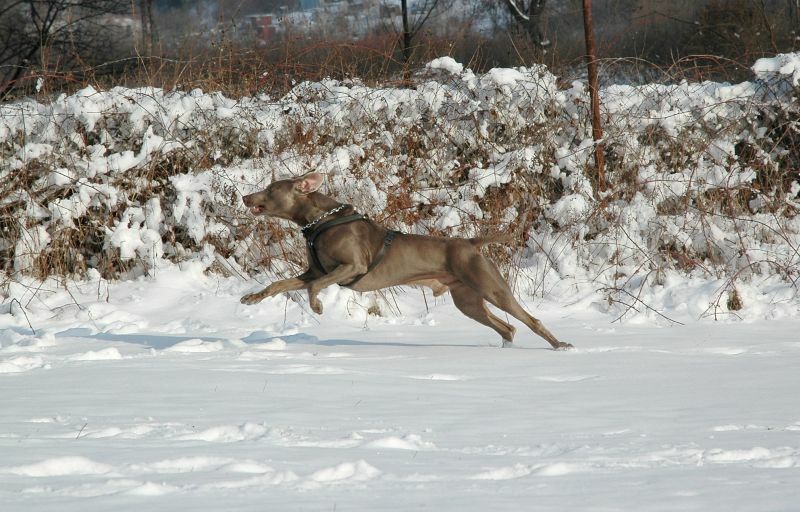 In Tlumačov by breeder Marta Odložilová we found an available girl by Rey (Atrey Forever Hero of Diam Weim) and Bora ze Skřivolánů. 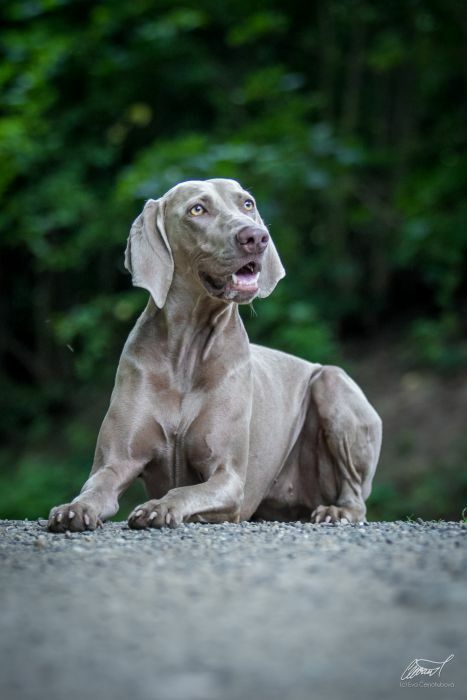 Cherry (Demi Grey Eminence) joined our pack 5th January 2014. As Cherry stepped in our house and found huge Jasper, she immediately went to him for a caress and she was at home. During her first year of life I understood it is not enough for her and Cherry wants to work. 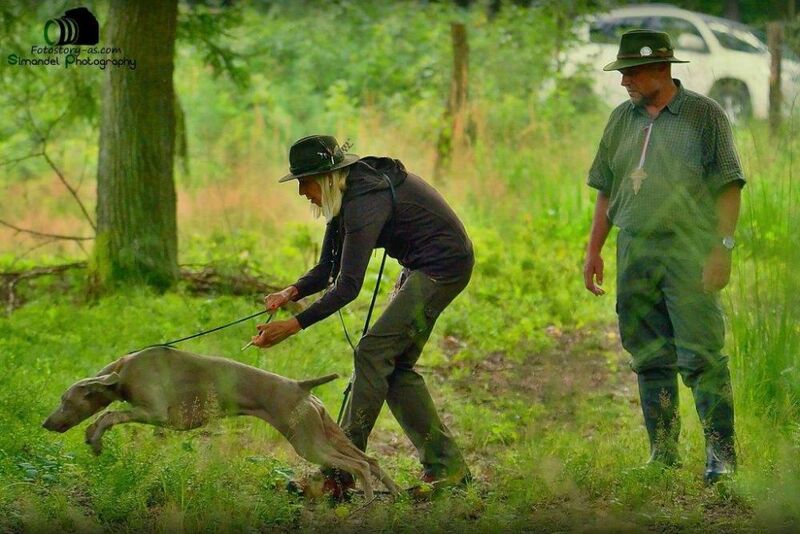 I started looking for, for me at that time unknown, hunters training.